The latest round of the Pirelli National Superstock 600 Championship was an uphill battle for Kevin from start to finish. 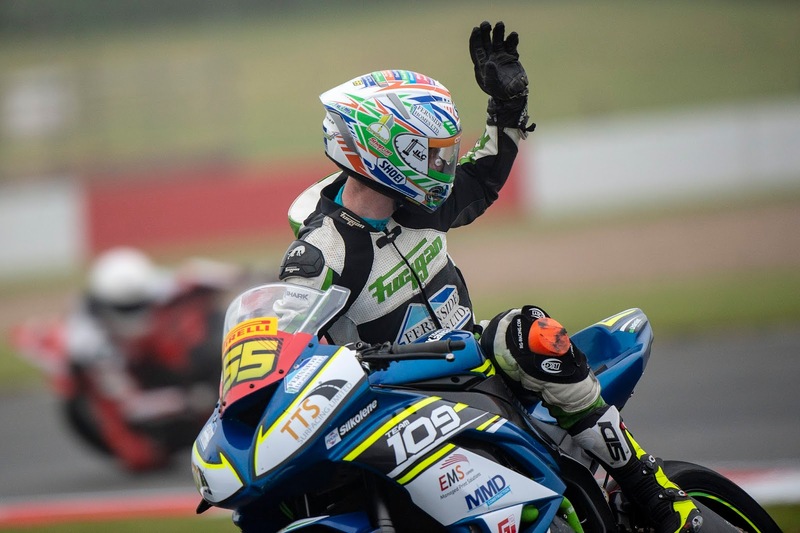 The problems began from the very first session of the weekend on Friday evening, when in the Team #109 Kawasaki ZX6R developed problems, forcing Kevin out of the session having completed less than three laps. After a very late night working on the bike into the very early hours of the morning ahead of qualifying on Saturday evening, Kevin made it back on track for his second session of the weekend. 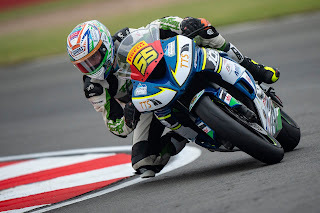 However, disaster struck once again when the bike suffered more issues, forcing him out once again after completing just one full lap of the track. It was looking like his weekend was over, but after meeting with Jonathan Rea on Saturday evening, the three-time world champion helped Kevin source parts for the Team #109 Kawasaki ahead of race day on Sunday. After yet another late night working on the bike until the early hours of the morning, Kevin was able to make the grid on Sunday for the race. 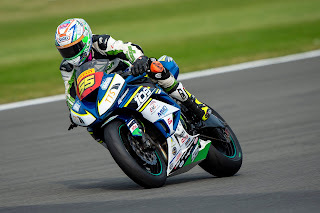 Failing to set a qualifying time on Saturday evening saw Kevin starting from the back of the grid on Sunday, but he wasn’t long of making his way through the pack. After just the opening lap Kevin had made his way into sixteenth position and was lapping the same pace as the leading group. By the seventh lap of the race he had progressed into eleventh position and was closing in on tenth. However, after so much effort both on and off the track it wasn’t to be, and Kevin was forced to retire once again. 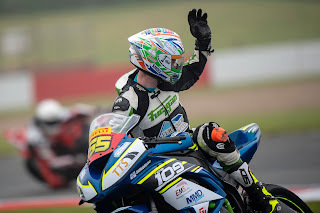 Next up for Team #109 is the fourth round of the Bennetts British Superbike Championship at Snetterton with Kevin once again in action in the Pirelli National Superstock 600 class, and after a number of rounds with the class being absent, Eunan McGlinchey and Brendan Glover will once again be back in action in the Dickies Junior Supersport class, being Team #109 will once again have a full stable of bikes in action.